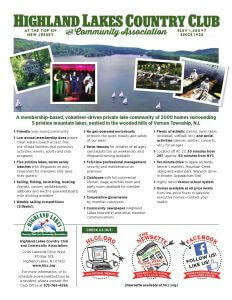 The Planning Committee is an advisory committee. Members of the committee are responsible for reviewing and making recommendations for change to the Community Master Plan which is then sent for review by Vernon Township’s Planning Board and acceptance by the Town Council. 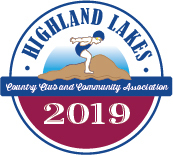 Once accepted, this document provides for expedited approval of Club building and development projects, and, to the extent different zoning standards for Highland Lakes are proposed compared to the existing standards within a PLC zone, may benefit members with relaxed setback requirements. 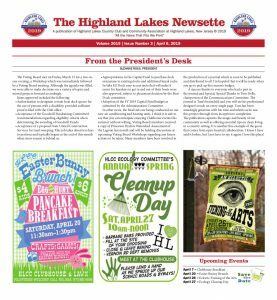 This committee is also asked to envision a future Highland Lakes and make recommendations to the board using strategic thinking with a respect for preserving all that is good in our lake community while keeping an open-mind to new opportunities. Before any serious exploration of an issue is considered, the committee must receive board approval.